Dana Kennedy has spent more than a decade working in community health. She has connected homeless youth to health and social services in New York, built a school garden in Ecuador, and facilitated HIV prevention workshops in Colorado. Prior to working at Center for Health Progress, she spent several years building programs that increase access to health coverage and care for low-income Coloradans. 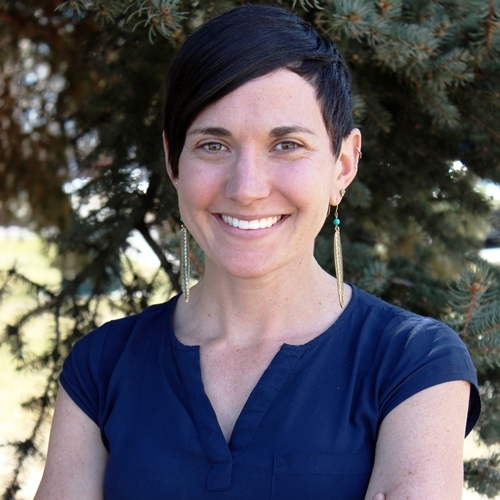 At Center for Health Progress, Dana combines her public health expertise and passion for connecting with people from all walks of life to build partnerships and relationships that advance health equity across Colorado. She additionally serves on the Mile High Connects Transit Advisory Council and the board of the Westwood Food Cooperative. Dana holds a bachelor’s in urban studies from Vassar College and a master’s in public health from the University of Colorado. See what Dana has to say in her blog posts.